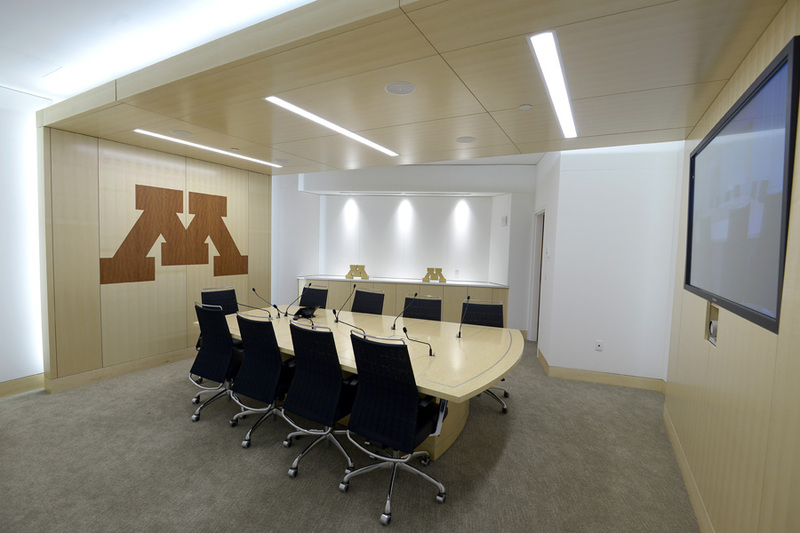 The University of Minnesota Masonic Children’s Hospital opened the Wilf Family Center, named in honor of the Wilf Family Foundation that contributed the funds to build the center. 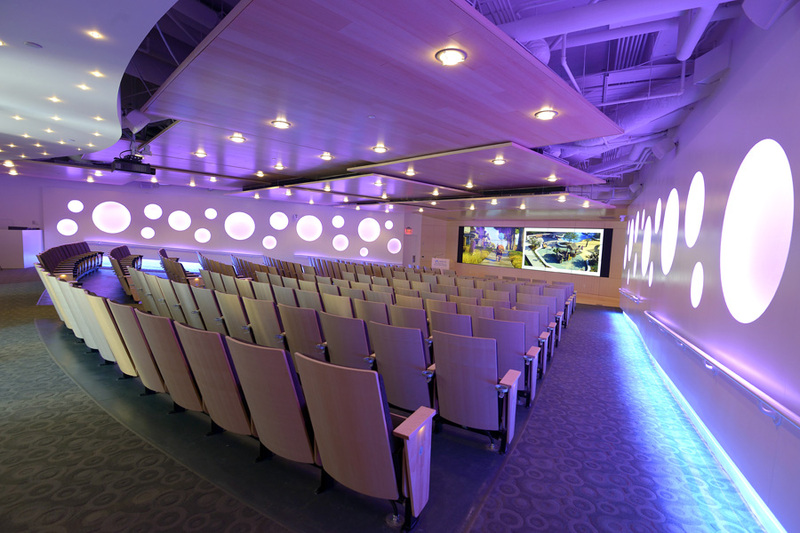 The center includes a 203-seat theater, a telehealth room, and two fully-equipped meeting rooms. 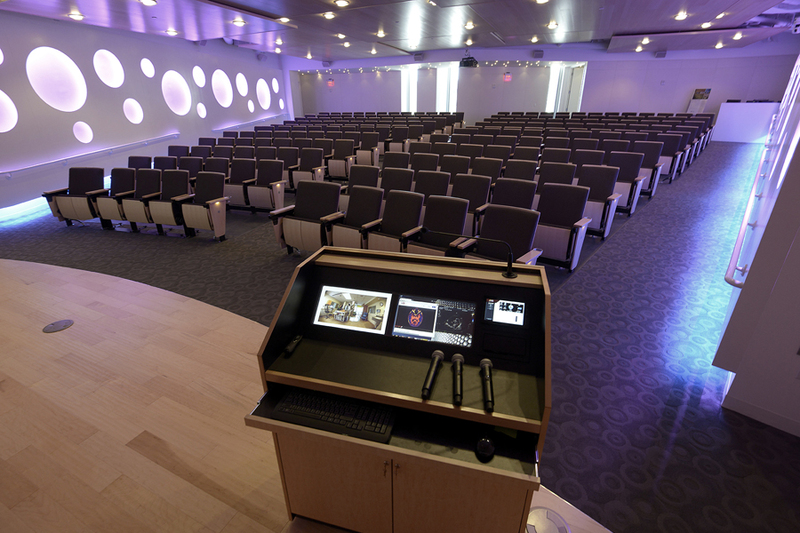 The audio and video systems in the Wilf Family Center were designed and integrated by Alpha Video. From the very beginning of the process, the University of Minnesota Masonic Children’s Hospital made it clear that they wanted the most effective systems for sharing information within the facility and throughout the region. Equally important, they wanted an auditorium where children who are in the hospital and their families could have fun. The auditorium features a spectacular 24’x7’ video wall composed of 18 Christie Digital 55” LED-backlit, thin-bezel LCD displays. An ICS WC5000-B processor controls the image on the video wall. To increase the flexibility of the auditorium, a Panasonic WXGA, 13K-lumens projector and Draper motorized screen were also installed. When the projector is used, the screen lowers in front of the video wall. 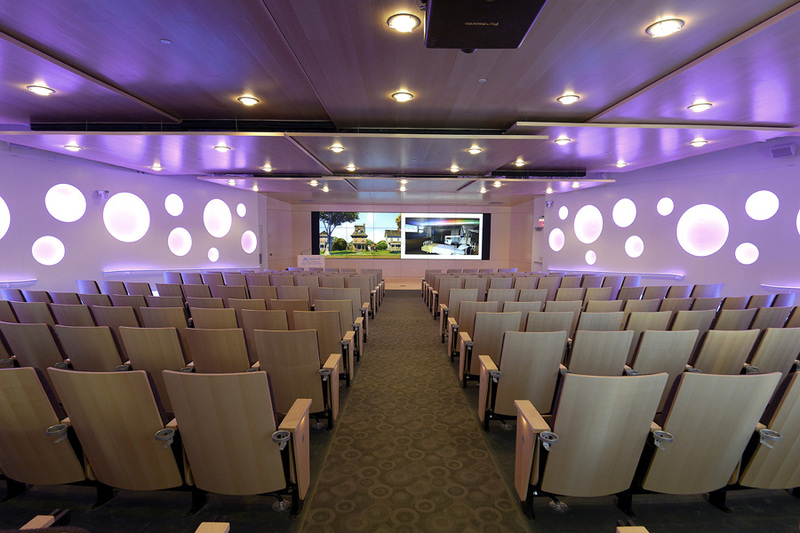 The auditorium is equipped with Vaddio PTZ cameras, Shure microphones, Crestron control system, and Cisco videoconferencing system to support broadcasting and streaming of meetings to other locations. It also includes a 7.2 surround sound system. 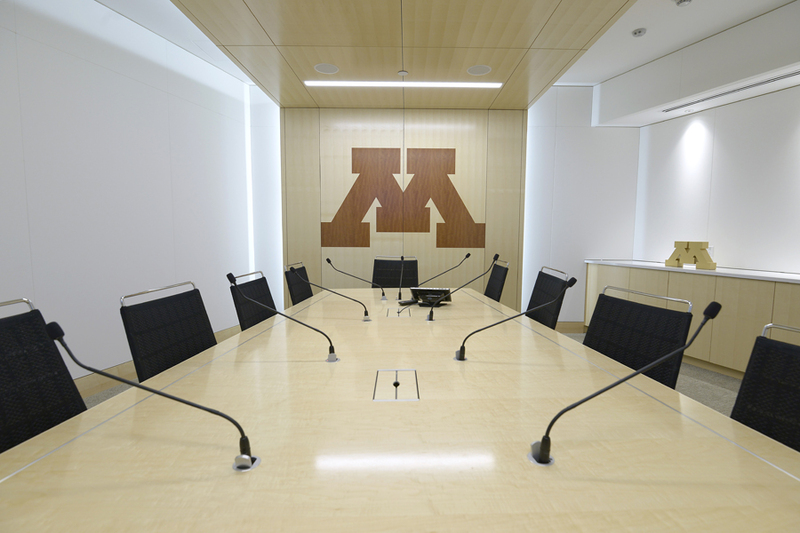 The two meeting rooms are divided by a removable wall so that they can be combined into one room. The smaller meeting room includes one 80” Panasonic HD Professional LCD display and the larger room includes two 80” Panasonic displays. Each room is fully equipped with Shure microphones, Crestron Control systems, Tannoy ceiling speakers, and a Cisco videoconferencing system. The impressive telehealth room includes a v-shaped table designed specifically for videoconference meetings using a Cisco videoconferencing system. 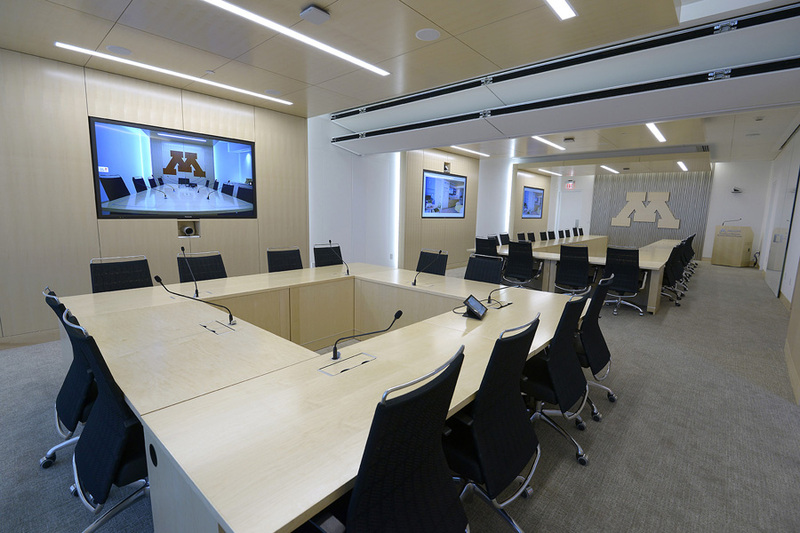 Alpha Video partnered with Video Guidance in Bloomington, MN to integrate the videoconferencing systems throughout the facility.